"Success in perfect harmony". The jazz pianist with the ringing Armenian name not only had success in perfect harmony with music, but also in the cigar world. His Avo cigars became top-selling in the US. They will now also be introduced in Europe. Wherever the agreeable Uvezian appears, with his characteristic straw hat and white Brioni-suit, his cigar is always a part of him. As musician and witty communicator, Avo Uvezian is a show talent and effective public relations man for the cigar. Not only for his own ones. His cigars will also be available in Europe in fall 1998. Davidoff included the series Trio and Quartetto XO in their product range and they are produced by Hendrik Kelner, the Davidoff partner and cigar mentor of their Dominican joint venture Tabadom. Uvezian started his cigar career in 1987 at Kelner's with several thousand cigars that were exclusively distributed and sold by Davidoff, at first in their own shops. In 1995, Davidoff supposedly bought the distributing rights of his brand at an estimated sum of 10 million dollars. The number of Avos exploded. Today more than 3 million cigars are sold annually, mainly in the US. The deal seems to have paid off. Uvezian, born in 1926, originated from a Beirut musician family. His father was a composer and directed a symphony orchestra, his mother a talented singer, and the young Avo very soon dreamed about a great career as a musician. As a young pianist with his own jazz trio, he cruised the Middle East from one success to another. The Shah Reza Pahlevi became interested in him and brought the 21-year-old to Teheran. However, he was soon drawn back to Beirut and, again with the aid of the Shah of Persia, the young Uvezian emigrated to New York in 1947 during the riots in Palestine. There he studied at the famous Juilliard School of Music and played with some of the best jazz pianists of that time, among them Teddy Wilson. He overcame business problems successfully, again in a bar at the piano. For a long time Uvezian was also successfully involved in the real-estate business. In the early eighties he moved to Puerto Rico and opened an Italian restaurant there, but then withdrew into the bar business again, addicted to his passion as a pianist. In Puerto Rico he developed his affection for cigars, had his own cigars rolled there and sold them in his piano bar. referred to Hendrik Kelner and between them a friendly and economic cooperation began. "He not only enjoys cigars, but all of life to the fullest", raved Henk Kelner of him. "In that he is very similar to the legendary Zino Davidoff, who also esteemed good life and a passion for the cigar." that he is a convincing ambassador of the fine cigar, and is not using his image to his or Davidoff's disadvantage. The cigars entered the US market in a XO series of the top range, and in a traditional line. The ones produced for Europe are connected to the XO-series by musically-inspired names, the Trio and Quartetto, seven formats in total. Compared to the American Avos, the "European" are spicier, more substantial and finer in aroma. The tobacco blends seem to be other than that of the American Avos. The fillers consist of Cuban seed, grown in the Dominican Republic, the binder is from Dominican Olor tobacco of the Villa Gonzales region in the Cibao valley, the premium planting area - comparable with Pinar del Rio in Cuba -and the filler comes from Connecticut (Shade). The spiciness and rich taste, especially of the Trio series, are probably coming from a higher proportion of Ligero tobacco which contributes to strength and fullness. The European Avo XO-series is mild to average in taste, very fine in aroma, spicy, substantial and rich taste, experienced as mild but full-bodied without coming across as grassy, as the taste of Dominican cigars often does. If you are a complete outsider to the cigar world you probably never heard of Avo, but in the industry he is a titan. All cigar aficionados are familiar with the brand of AVO, and most regard it as a uniquely delicious cigar. 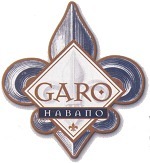 Another Armenian in the cigar industry is Paul Garmirian. His brand which carries his name PAUL GARMIRIAN (PG) is not as renowed as AVO, but is still relatively well known. I just smoked that Avo 75th Anniversary Churchill. I found it to be excellent. Having smoked mostly Cuban cigars for the past ten years or so, it is nice to find such a nice Churchill. ON PG my favourite size is robusto. Armenian Cigar Maker in the Dominican Republic. "There are people who call me a cigar guru, but I'm no guru. I'm not a great man in the cigar world, as Zino Davidoff was. There is no longer anyone like him." Avo Uvezian loves understatement and leans back with an AVO cigar between his forefinger and middle finger. Avo Uvezian was born in 1926, the son of a family of musicians in Beirut. His father was a composer and conductor of a symphony orchestra, his mother a gifted singer. The talented young pianist's dream was a great career as a musician. Talent and commitment, which still distinguish him today, soon brought him success. After he had travelled the Near East as a teenager with his jazz trio "Lebanon Boys", he also had great success in the Middle East. The contacts which he made there led the young jazz pianist to the USA in 1947. In New York Avo studied classical piano and composition at the famous Julliard School of Music. During his studies Uvezian played in various bands with great success. The Korean war interrupted his career, as he served with the US Army as a musician until 1953. After that Avo played with the great jazz musicians of the 50s and 60s. Avo Uvezian's dream had come true - he had established his career as a musician. The polyglot businessman and jazz musician went to Puerto Rico and in the early 80s opened a restaurant and piano bar. In Puerto Rico Avo discovered his love for cigars – they were to become his great passion. As a perfectionist par excellence he very soon had his own AVO brand rolled and gave this away to his guests, who increasingly demanded his cigars. The road from connoisseur to cigar composer was but a short one. So the musician and composer set out to look for a virtuoso of the cigar who could bring his creations to life in the form of cigars. In about 1982 he met the master cigar producer Hendrik Kelner in the Dominican Republic and by 1988 the first AVO had been sold in New York. Two passionate aficionados had found each other and the synthesis could have only one result: cigars in perfect harmony. Hendrik Kelner and Avo Uvezian had started with 100,000 cigars in the first year, and in the third the number had already risen to 750,000. Today each year three million cigars bearing the name of the jazz pianist are enjoyed by aficionados all over the world. Also in his second career, the world of premium cigars, his striving for perfect harmony has brought him great success. Mos lav bzhishk unes, tents mi erku hat unenam sagh or@ cigar pti ts@xem!!! Great job! he definitely contributed to the world positively. Aper de asa Tikon petqa sksi cigaret ghulap tal eli... bayts che avel lava ira cigarnerin mna!!! qich araj Avo Uvezyani masin HAghordum kar H1 TV 'ov - H@rashagorts mard e na !!! Ay et mek@ chey imanum... bravo Avo jan!!! Strangers in the night - amena shat lsvogh yev sirvats yerqerits mekna!!! Paul Garmirian is a top-notch cigar maker too! If you want to see Paul in silhouette click on my usename! As for Avo, Ah he's my hero!! The prolific, 78-year-old composer, who was the genius behind the marvelous 1960s ballad “Strangers in the Night” created his cigar brand in 1987. Now known as Avo Classic, the reddish-brown-wrapped original was, in fact, gentle with a marvelous spiciness on the finish. The brand, distributed by Davidoff of Geneva, quickly became a favorite during the Cigar Boom of the 1990s. Edited by Z'areh, 26 February 2008 - 10:45 PM. Avo Uvezian wrote "Strangers in the Night"?! Cool! with an encounter between two men that would change both their lives. and when dreaming of pretty women, French is the best language." he moved to New York and entered the Juilliard School. By the 1960s, he had written his own music. One melody stood out. the melody, and called it "Broken Guitar." Sinatra gave it a listen. to record the song in 1966.
receive credit for the song. Before Sinatra ever heard the music, Mr.
established German composer, to be published there, he said. Mr.
"A Man Could Get Killed." including in a written letter. to me." Mr. Kaplan, in his book, credits Mr. Kaempfert as the composer. York City, he said. "It's a painful thing for me. I want to forget it,"
he said. "I have a hell of a lot of better music." He moved to Puerto Rico and started over. He played piano at a resort. become a brand called the Avo Classic. The musician handed out his cigars from his piano bench at gigs. "The construction, balance and palate stimulation were just top notch,"
Mr. Kolesaire said of the Avo Classic. Bath & Beyond bag and left. They were Avo XOs, each box worth $261.22. Mr. Uvezian, informed of the theft by a reporter's call, was unfazed. missing. "It can happen," he said. off the shelf in mid-December and pointed to the name on the cover. "This guy," he said, "wrote 'Strangers in the Night.' "
and sign up for the New York Today newsletter. Avo Uvezian, one of the symbols of American music and the author of «Strangers in the Night” hit as we as a the creator of the Avo line of premium cigars confessed that for a complete happiness he needs to visit his fatherland and see Ararat Mountain. He is proud to be Armenian. Uvezian has made numerous accomplishments and gained international recognition in a life full of hardships, yet he has a dream unfulfilled - to be in Armenia. Singer Arman Hovhannisyan has posted footage from the award ceremony on his Facebook page. Avo Uvezian was born in 1926, the son of a family of musicians in Beirut, after the family survived the mass slaughters of the Armenians in Turkey. Uvezian’s success in business activity was as noticeable as in music. Recommended by his friend Jacque Melqonyan, who has experience in cigar production and marketing, Uvezian initiated his cigar business under Avo brand, which translated into Armenian as “good new”. According to reports, Fidel Castro personally used to call Uvezian to ask for several boxes of “Avo” cigars. George W. Bush reportedly approached Uvezian in a hotel to get acquainted with the producer of his favorite cigars. ORLANDO, Fla. (Cigar Aficionado)—Legendary Armenian-American jazz pianist and cigar manufacturer Avo Uvezian passed away on March 24, two days after his 91st birthday. Known in the cigar industry for his Avo brands and his sharp sense of style, Uvezian was long a vivacious part of the cigar industry, touring in support of his cigars even at 90 years old. A showman and cigar lover, it wasn’t uncommon to see Uvezian play piano at a cigar event while puffing on one of his cigars and waxing poetic about the joys of smoking. Uvezian first came into cigar prominence when the Avo line was born in 1987, but his cigar story started long before that. Born in 1926 in Beirut, Lebanon, Uvezian formed a musical group called the Liban Boys in 1945 right after the end of World War II. They managed to get a contract playing in a hotel in Baghdad, where the group lasted a year before moving on to a hotel in Tehran. Uvezian quickly made a name for himself as a pianist and eventually received an invitation from Shah Reza Pahlevi, at the time the leader of Iran, to play at his palace. Uvezian stayed in Tehran for a year, and made such an impression on the Shah that he recommended that Uvezian go to America, and personally paid for his trip. Uvezian arrived in New York City in 1947, playing in various bands while studying at Juilliard. After two years in the U.S. Army, he eventually found himself in Puerto Rico in the jewelry business. But music called him back, and by 1974 he was playing piano at the Palmas del Mar resort. During this time, he made a crucial observation: people not only came to hear his music, but they also liked smoking cigars. Uvezian would purchase a few local cigars each night and place them on top of the piano for anyone who wanted to smoke. Uvezian was introduced to Davidoff’s cigarmaker Hendrik “Henke” Kelner, and in 1987, his first cigars from Kelner were sold under the Bolero label in San Juan. Shortly after, he changed the cigar name to Avo and debuted them in New York City. The brand was created exclusively for the Davidoff shop. Uvezian launched Avo across the U.S. in 1988, and in 1995, Davidoff purchased the distribution rights for the brand. In 10 years, Uvezian saw his brand grow from about 5,000 cigars in 1987 to about 3.2 million in 1997. Since the early-2000s, Uvezian has celebrated his birthday with a special, limited-edition cigar and a cigar party as well as a national tour. Though tour dates decreased as he got a little older, he usually made time for New York. Last year, Uvezian made an appearance in Manhattan for his 90th birthday. Avo Uvezian is survived by his wife, Nivia, his sons Robert, Jeffrey and Ronnie, and his daughter Karyn.